The first step in treating a dental emergency is to recognize when it’s occurring. If you find yourself or someone you know experiencing any of the following, you’ll know that it’s time to contact your dentist as soon as possible. In all of these events, the natural tooth is either exposed to oral bacteria or currently experiencing significant damage or decay that requires immediate treatment. In the event that you minorly chip your tooth and there is no pain present and the crack doesn’t extend below the gum line, you can wait until normal business hours to address the issue. In any other case, the next step should always be to contact the dentist. 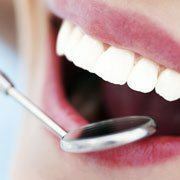 By contacting a dentist, you aren’t only helping your emergency by scheduling an appointment, ideally for the same day. You also get the chance to speak with a member of their staff who’s sole job is to provide you advice on handling dental emergencies before your visit. When you contact them, they’ll walk you through each step of your preparation and help you feel calm during this traumatic time. For example, if your tooth is knocked out, they’ll tell you to locate the tooth, pick it up by the crown only, rinse off any dirt or debris that’s attached while making sure not to remove any tissue, then place it back into your socket to keep it preserved. If your crown has come off, you’ll want to keep it and try to reattach it with dental cement, denture adhesive, or petroleum jelly until you get to the practice. If you are out of town or away from your dentist, consider these tips until you’re back and able to schedule an appointment. Take over-the-counter painkillers like ibuprofen to manage pain. Make sure food debris isn’t stuck in between your teeth and causing pain in the first place. Apply an ice pack to your face to reduce swelling and bleeding that may be occurring. If suffering from a broken jaw or significant bleeding, head to the emergency room before seeing a dentist. Place broken or knocked-out teeth into a container of milk, saltwater, or saline solution to keep it preserved outside of your mouth. 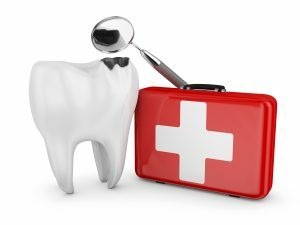 Need to address a dental emergency right away? 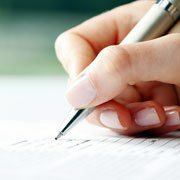 Schedule an appointment as soon as possible to prevent the need for extensive dental treatments later! Dr. Sheri McIntosh and her team are more than ready to help treat your dental emergency, even if you aren’t currently a patient. They’ll do their best to fill you in for an appointment as soon as possible, so don’t hesitate to get your emergency treated right away. Contact them through their website!